Photocopier With Printers | Multifunctional Machines | Save Today! The price of an office photocopier with printer varies substantially depending on the abilities, features and the model of printer you choose. You could purchase a printer for as little as £100 or for thousands of pounds depending on your needs. As it is not unusual for offices to require more than one printer, many businesses decide to take a look at renting or leasing instead of buying outright. We will take a look at whether leasing is the right option for your business as well as important considerations to make and what to know before you sign any contracts. By renting or leasing a printer, it allows you to choose the most suited model for your businesses needs without high purchase prices. This means you may be able to afford higher quality models than if you were buying the printer. When leasing you can keep up with the latest technology, make financial savings and avoid large deposits. The printer maintenance will also be covered in a lease agreement which will save you on time, money and stress. Lease or rent? A lease agreement tends to be a long-term solution for businesses who wish to potentially own the printer at the end of the agreement whereas a rental contract is more of a short-term borrowing of the item. What kind of business should rent or lease a printer? Each business requires something slightly different from a printer, the size of your business and the amount of printing required are the main determining factors. Start-up and smaller businesses may find that it is most beneficial to buy a printer outright – the chances are they would require a more basic set up which is more affordable and easy to use, repair and replace. Businesses with a larger printing requirement would likely find that renting or leasing is the way forward. This is due to the need for more complex, faster machines – these machines are more expensive to buy and more difficult to fix which is why leasing is a great option. 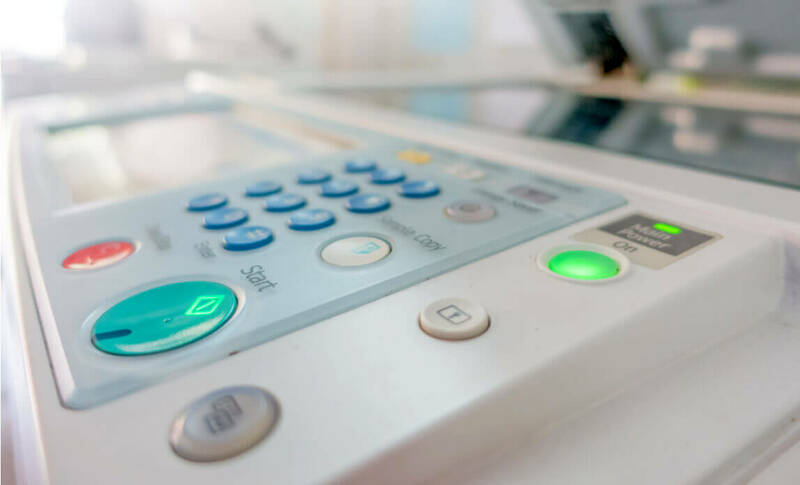 There’s often maintenance coverage of some degree within the lease agreement and the vendors are familiar with common printer problems making them prepared to deal with any issues quickly. Whereas, if you own the printer the maintenance and repair will fall to you which may prove to be costly and time consuming. How many pages will be printed each month? What size paper will the printer need to be able to handle? Do you want to be able to print on both sides using duplex functionality? Are the scanner or faxer necessary features for your business? Is wireless or Ethernet network connectivity preferred? 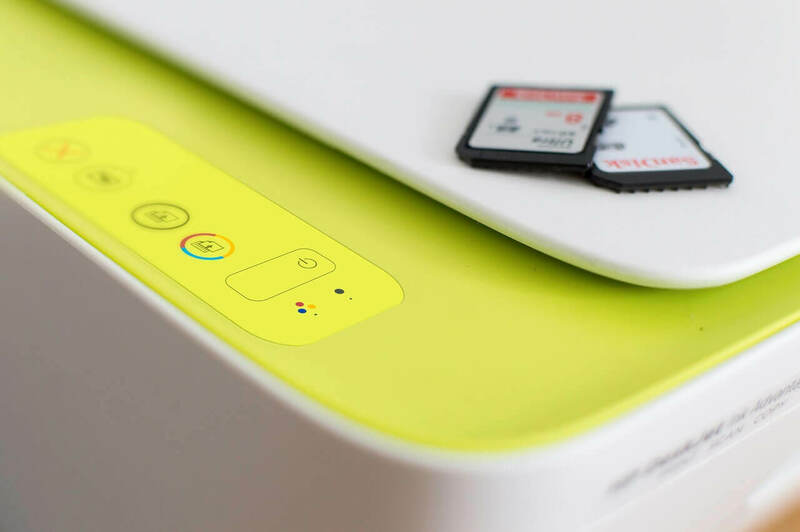 There are all-in-one printers available that come with many of the features mentioned, however if you are in need of something specific it pays to make sure the printer model you choose has the necessary features. Many businesses require A4 printing but if you require A3, A2 or maybe smaller sized paper or even envelope printing these features are available on many modern printer models. Top Tip – If you need high speed/ high volume printing make sure you consider the paper capacity – it’s no use if the printer has speeds of 70 prints per minute but the paper runs out after 50 sheets, make sure you choose a larger capacity to be able to fully optimize the features. Cost Per Page (CPP) is a useful calculation that divides the cartridge cost by the page yield (the number of pages the cartridge can print on). The number you get is the cost per page for printing. The calculation can become tricky for printers that use multiple cartridges but it’s great to have on hand when working out the costs of hiring a printer. The duty cycle is another number to look out for – it tells you the monthly capability of the printer. There may also be a monthly recommended print volume; both of these values indicate the volume of printing that specific model has been designed to handle. Paper Jams – Paper becoming stuck as it tries to feed into the printer is very common but fortunately it’s an easy fix. Simply ensure the paper tray is correctly positioned and the paper is placed neatly without folds or creases in order to avoid jams from occurring. Connectivity – A wireless printer may not print if it has lost connection or jumped onto a different network. Check your printer is connected to the correct network, if the connections look good there could be a printer driver problem. Ink settings – If the ink is running low the quality will be bad (likely distorted and difficult to read), another reason for low quality printing could be in the printer settings – make sure the quality is set to high to avoid pixelated printing. Paper type – The type of paper could also impact your print quality. When printing on glossy paper the ink can become smudged and distorted due to the wet ink coming into contact with other pages as they print faster than the ink can dry. To prevent this, remove the pages as they print to give them a chance to dry. Before you sign the contract or agreement make sure you know the services offered, the maintenance support you will receive, any minimum/maximum limits & associated out of limit costs, the printing price per page and which toners you will receive. Contracts vary between suppliers so always know what’s included to save you unnecessary stress later. There are many credible, high quality and affordable printer manufacturers to choose from. Each manufacturer offers an array of printers to suit the individual needs of businesses so by shopping around and comparing what’s available you’ll be able to find the best printer for you at the best value deals. Xerox: American company specialising in colour printing. They are known worldwide for offering a wide range of high quality printers. If you need the latest colour technology for your printing needs, Xerox could be a perfect starting point. Canon: A consistent frontrunner and a favourite brand of many. High quality printing is the name of the game for Canon and with their range of printers available, they are not to be underestimated. Konica Minolta: Popular manufacturer with an excellent reputation. You may know them thanks to their camera equipment but they manufacture top quality printers too! Ricoh: One of the UK’s top manufacturers of printers. Ricoh is relatively new compared to their competitors, however their rapid climb to the top indicates their expertise and quality. Their printers are all full of useful features (even smaller models come with excellent features rarely seen on the basic, more affordable models). Brother: World renowned Japanese brand known for their printing technologies. You can often find the latest tech options and they are a great choice for smaller businesses as their range caters more towards lower volume printing needs. These well-known brands are excellent choices as they have sturdy, ongoing reputations of producing high quality printers. They are reliable options and with the marketplace so full of brands and printers it’s always good to have a starting point. Remember to check out the customer reviews and online forums for extra information on the printers you are interested in. Once you know what your business needs from a printer you can compare the top models available to find the best deals to suit you. With so many factors impacting the cost of leasing, it pays to know what you’re looking for. Choose an approved printer manufacturer and don’t be afraid to ask questions about the printer and the lease agreement. If you have any further questions or you’d like to request a quote, contact us today and we’ll be happy to help.